The DIAMOND SHORT-CUT SQUEEGEE SHARPENER is the first precision, manual squeegee sharpener for squeegees 20" and under. 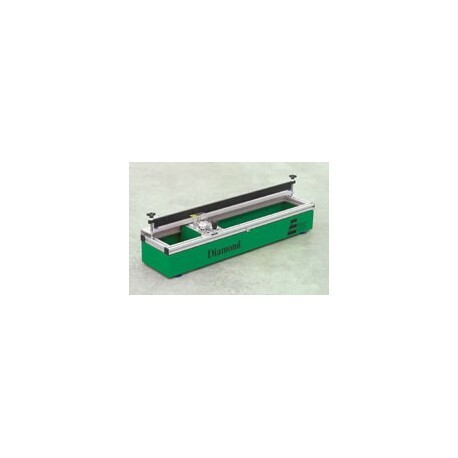 This manual, tabletop unit accommodates both handheld and press-held squeegees. The sharpener includes one indestructible diamond sharpening wheel that will sharpen any durometer squeegee, and optional profiled wheels for shaped squeegees are available. The unit also features a dial indicator to gauge the amount of squeegee material removed during each sharpening pass. There is no sharpener that offers such precision at such an economical price.